Be the first to hear about our latest offers, news & promotions. The Lighter Single Hand Models Have A Smooth, Powerful Action That Accepts A Wide Variety Of Casting Strokes And Styles. 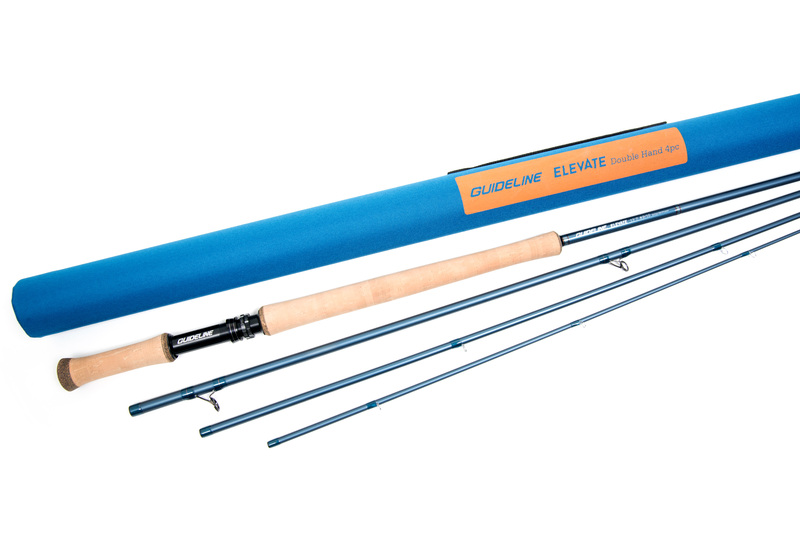 Single-Handed Rods From Line Weight 6 And Up Have Faster And More Charged Actions, Offering A Well Defined Recovery-Kick During The Cast. The Actions Of The Well-Balanced And Light Double-Handed Rods Are Developed To Suit A Modern Scandinavian Casting Style With A Short Stroke Range For Effective And Effortless Fishing. The Elevate Series Offers Outstanding Value For Money And Feature A Performance Hard To Equal At This Level. We Produce These Rods In The Same Factory As Our Premium Fario Crs Rods And Do Incorporate Construction Know-How From That Process Into This Series As Well. Hi Grade/ Hi Strain Graphite In Multiple Strain Rates Offers Low Weight, Fast Recovery Speed And Durability. Custom Designed Grips In 3A Cork Quality Are Assemmbled With Lightweight Reel Seats. The Frames On The Stripping Guides Prevent Excessive Tangling And Add To The Cool Look Of The Rods. Guideline Has Opted For Hard Chrome Single Leg Guides As We Find Them Light Strong And Interfering Marginally With The Blank Action. Delivered In A Lightweight Cordura Tube With Rod Sock. Here at Serious Fishing we are always delighted to talk to our customers. While we hope that we will be your preferred vendor of fishing tackle, we also hope to become firm and trusted friends with many of you. When you're making a major purchase of a new rod, reel or waders, a bit of advice can be very reassuring. We will usually work in a bit of extra value for you as well. Our team of fishing experts includes Steven, Neil and Trevor. You can reach any of us by sending a quick email to sales@seriousfishing.com Please include your phone number if you'd like us to call you back. We try and respond within a few hours max. Note: We're based in UK & Ireland time zone. Shipping costs are calculated depending on the weight and volume of your order, and are shown at checkout.